In a social network post, which is being widely circulated, Gujarat-based social senior Wilfred Dcosta has warned that fracking, slang for hydraulic fracturing, is finally set to come to India, and India’s top companies have already begun the job. Fracking means creating fractures in rocks and rock formations by injecting fluid into cracks to force them further open. The larger fissures allow more oil and gas to flow out of the formation and into the wellbore, from where it can be extracted. But environmentalists say, fracking could lead to contamination of ground water, risks to air quality, noise pollution, migration of gases and hydraulic fracturing chemicals to the surface, mishandling of waste, and the health effects of these, like cancer. First experimented in 1947, fracking is being applied in 60 per cent of all new oil and gas wells explorations worldwide and, despite strong environmental concerns it continues unabated as it has resulted in many oil and gas wells attaining a state of economic viability, due to the level of extraction that can be reached. As of 2012, 2.5 million hydraulic fracturing jobs have been performed on oil and gas wells worldwide, more than one million of them in the United States. Latest information suggests that the US’ Uranium Energy Corporation is planning to use hydraulic fracturing to mine uranium. 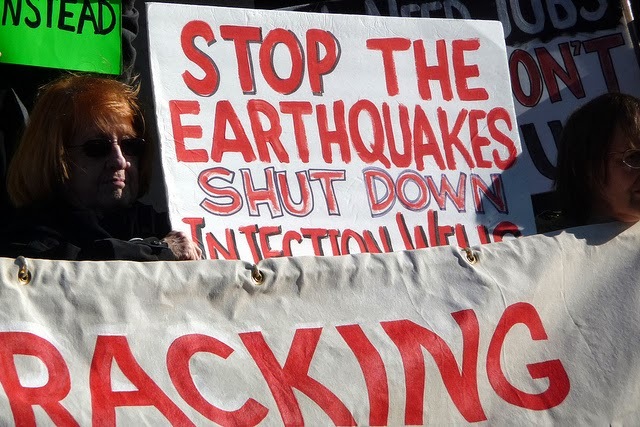 Already, in the US, there is a movement against fracking. Those who are part of the movement say, fracking is a “water-intensive process where millions of gallons of fluid – typically water, sand, and chemicals, including ones known to cause cancer – are injected underground at high pressure to fracture the rock surrounding an oil or gas well. This releases extra oil and gas from the rock, so it can flow into the well.” They also point towards how fracking introduces additional industrial activity into communities beyond the well. While industry in India appears to go in favour of fracking, but the argument is growing that it should not even within the higher echelon. It is suggested that “India's shale gas could be an answer to the country's growing energy demand, but limited (and diminishing) water resources may prevent widespread implementation of the controversial gas-extraction technique”. Delhi-based think-tank The Energy and Resources Centre (TERI) has said that India’s lack of water is a “red flag” in the development of the domestic gas, as fracking is a water-intensive process. The country would be better off buying more natural gas from Australia, the Middle East and the US, it added. Yet, industry lobbyists argue that fracking could be one of the best green options of the decade. Bjorn Lomborg, president of the Copenhagen Consensus Center and author of The Skeptical Environmentalist, has said that fracking has led to a “dramatic transition” to natural gas. This shift is important for environmentalists because natural gas produces 45 per cent less carbon dioxide than burning coal. Fracking creates channels in the rock, allowing natural gas to be extracted at a much higher rate than traditional methods “If fracking happened worldwide, emissions would likely decline substantially by 2020,” he claims.